Previously I mentioned I had been challenged to give a TED-style talk at a mastermind meeting. It was optional, but in keeping with my new approach to life, I took up the challenge. And it was a challenge for me. When it came time to present the rough draft of what I’d written, my mentor challenged me again to go without the script. It was uncomfortable, but I did it. There is no record of that presentation, so I recorded and posted it here for you. 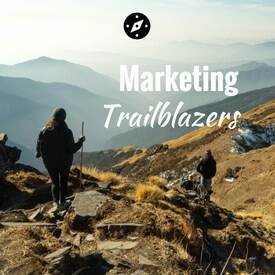 I chose a small moment on one of my recent trips to Peru, to illustrate personal growth that can happen when one tiny decision is made, and how it can apply to marketing your business on the Web. Text of audio (with pictures!) Like many people, I’m a mix of cautious and curious. I like to think things through before I act. I’m also introverted and have a tendency to social anxiety. If I feel anxious about an outcome or like I may make a fool of myself or things may not turn out as I envision in my mind, I’m apt to say no without trying and move on to situations and activities where I have more control or skill or comfort. Have you ever felt that way? I know I’ve missed out on a lot of potential experiences because I’ve been too concerned about what other people may think of me. Or, I don’t participate because I’m afraid I’ll stand out and people will notice if I say something stupid or look silly. I stand to the side and observe instead of participate. In the space of three months, my life changed when I made one simple decision about how I wanted to experience my life. I’m here to tell you that I have learned what it means to say “What have I got to lose? Give it a try”. When I stepped off the plane in Puerto Maldonado, it was about 90 degrees and 80% humidity. Walking across the tarmac to the tiny terminal felt like pushing through a wall of heat and my clothes were damp by the time my friend and I picked up our duffle bags. Carlos, our driver was there to greet us. With relief, we climbed into the cool mini van. 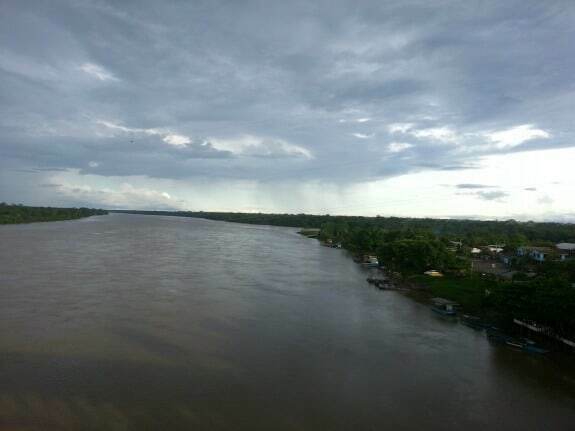 My friend and I had arrived at the gateway of the Amazon rainforest in Peru and were expecting to begin our 3-hour journey to a lodge in the heart of a protected wildlife reserve on the banks of Sandoval Lake. Instead, we were informed that we had a 4-hour delay while we waited for a couple who were on a flight coming in from Lima. 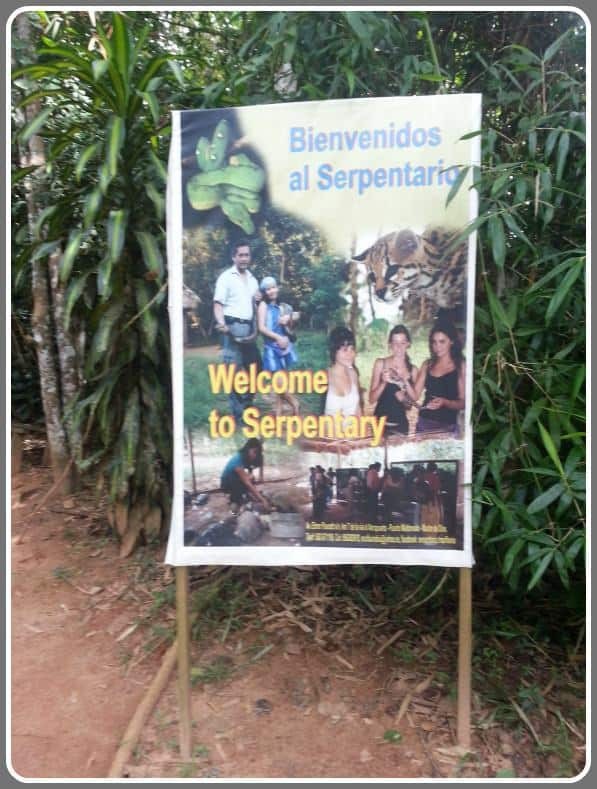 “Since we have some time, would you like to go to el Serpentario?” I was asked. The what? A sanctuary for rescued snakes. Sanctuary for rescued snakes in Puerto Maldonado. Uh, I guess so, I said, without enthusiasm. It’s really interesting, Carlos told me. My first thought was that I don’t like snakes. Then I remembered the pledge I made to myself at the outset of my adventure. Ok, let’s go. Little did I know that “snake” really meant “boa constrictors” and “anacondas”. To me, those were scary snakes that poison people or squeeze them to death. 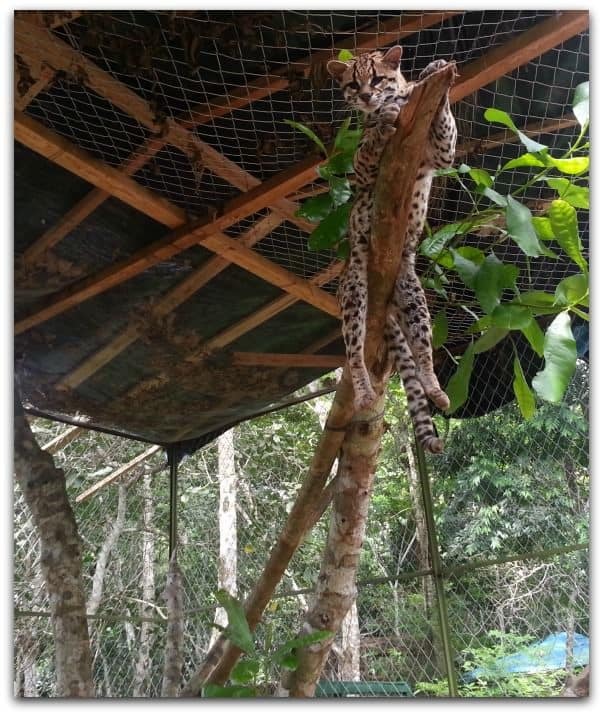 In that oppressive, tropical heat, Carlos took us on a tour, showing us other rescued animals, an owl, a blind feline that looked sort of like an ocelot. Then, we got to the building with the serpents. I saw many big and small boa constrictors. Admittedly they are beautiful creatures when you study the patterns on their skin. Then Carlos asked me, “do you want to hold one?” What???? NO! is what I said in my head. No way! Again, I remembered the pledge I had made before I left Los Angeles. Attempting to remain calm with a boa constrictor around my neck! I stood still as a statue while Carlos took a 6’ boa constrictor out of its cage and put it around my neck. I wondered if it was like other animals and could smell my fear. What if it wrapped itself around my neck and strangled me to death? I tried to relax. I touched its skin. It was cool and smooth. I held its head in my left hand. I was still trying, somewhat unsuccessfully to relax. I look pretty silly in the pictures my friend took. But I did it. I said “yes” because I had promised myself that I would say yes to everything that I didn’t think would put me in mortal danger. I said yes, because I had said “no” and stood on the sidelines for too long. I said yes, because when I thought about it rationally, Carlos was not going to suggest I do something that was dangerous. He didn’t want me to get hurt any more than I wanted to get hurt. Two trips to Peru changed my life. The first trip reminded me how much I love adventure and showed me I can meet any challenge I set for myself. Have you ever had an idea or big goal you wanted to achieve in your business? You imagine what it will be like when you’re there, how great it will be, how beautiful and perfect and simple to achieve? And then you start thinking about the details, what it will take to make it happen. How hard it might be, how uncomfortable. That you’re going to have put a great deal of time and attention into marketing your thing? You start feeling anxious and maybe a little fearful. What will people think of it? They’ll think I’m crazy or stupid. They’ll judge me. What if it doesn’t work, or I don’t make it. I’ll be a failure. You think, “Maybe I’ll just skip it.” It’s too hard and complicated and it probably won’t work or I won’t be able to pull it off. And nothing happens. You move on, feeling disappointed maybe, and also relief because you didn’t fail or make a fool of yourself. Right? You ever feel that way? I have. And I’ve missed a lot of opportunities as a result. 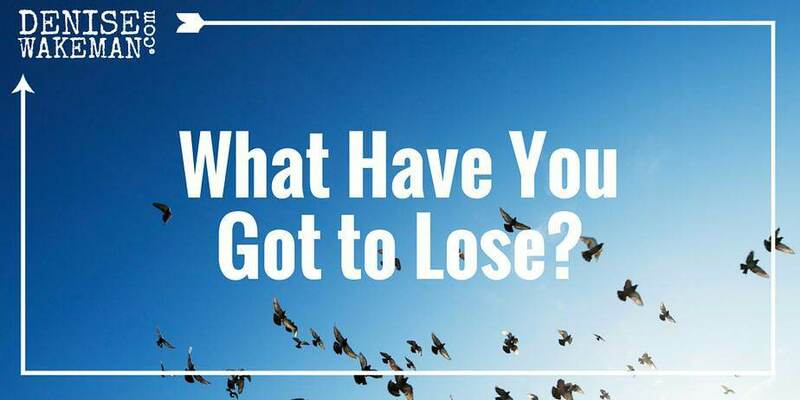 What would happen if you said “Yes, what have I got to lose?”! My passionate belief is that you can be successful building an attractive, powerful presence on the Web when you let go of fear and doubts and embrace uncertainty. When you say “yes” to trying and experimenting, even when the outcome is uncertain… when you open up to the fun and joy of sharing what you know and do so well, with those whose lives you can transform for the better… the results may surprise and delight you. 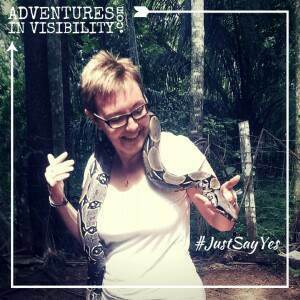 I said yes and I discovered that boa constrictors don’t eat people and they aren’t venomous. It’s highly unlikely that a human would be killed by a boa. I surrendered to the experience and it’s now a special memory from my Peruvian adventure. When you say yes to the prospect of revealing yourself on the Web and embracing a new path to more visibility, you may discover more fabulous opportunities than you ever let yourself dream of. What have you got to lose? Give it a try… just say yes! Have you ever said “yes” to something you would have normally said “no” to? What happened? Wow! Great talk. Thanks for sharing how you faced your fears. I too miss opprrtunities because I’m too scared and second guess myself. Your article has inspired me to face my own fears, thanks! I LOVE this, Denise! This is something I’ve been learning over the last few years. I’ve been consciously trying to face my fears. But a boa… hmmm… I think you’re braver than me. I have some more work to do. 🙂 Thank you so much for sharing! You’ve motivated me to step outside my comfort zone even more. Thanks for your kind words, Marnie. Never occurred to me that I would be invited to put a REAL boa around my neck. But I had promised myself to say “yes” so I did it. And, I survived! I think we project more danger or fear onto situations than actually exists, at least I do. The adventure was a great reminder for me that what we fear isn’t necessarily dangerous and can lead to greater things. I LOVE this Denise! I can so relate…it’s easy to be brave online to a certain extent but as you are doing, I too am stretching beyond my comfort zone and it is so full of JoyFEAR! But I love it! Thank you, Laura. The interesting thing about going beyond one’s comfort zone is that it usually turns out just fine. Then I wonder what all the fuss was about. Got to keep that in mind when new opportunities present themselves. Thanks for stopping by!